I love the look of mismatched china. 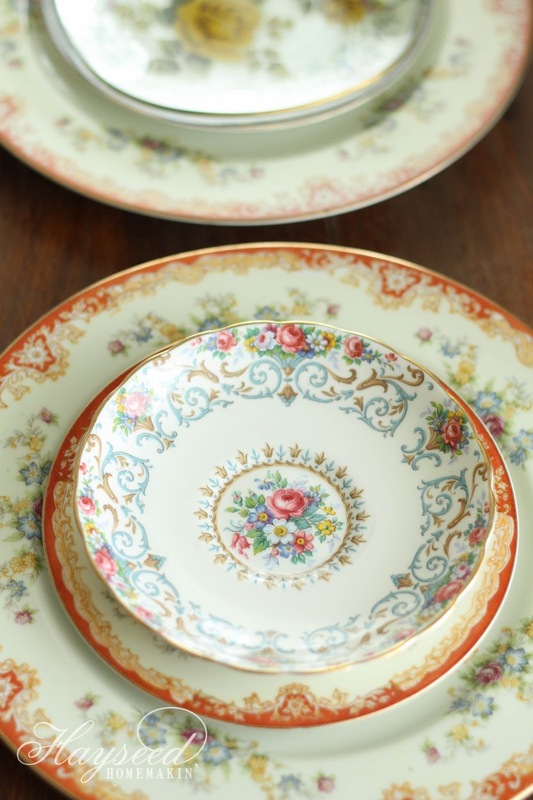 You can create a beautiful place setting, effortlessly, by stacking plates & saucers of different patterns. 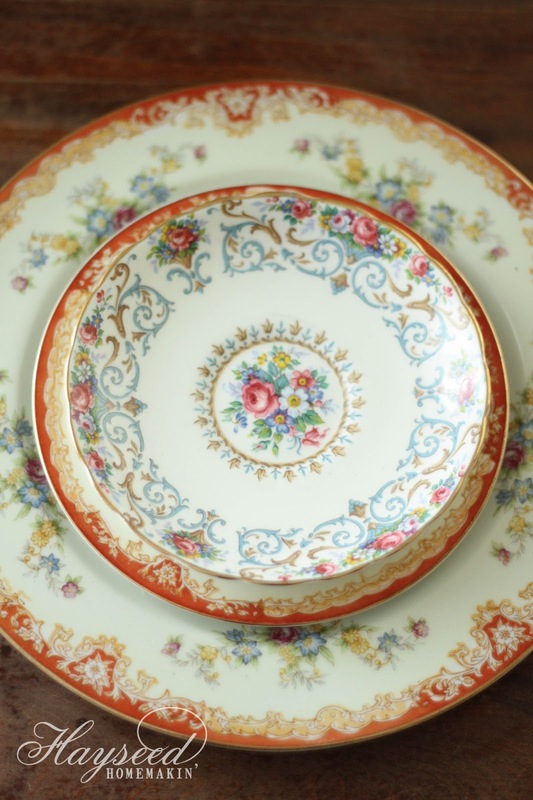 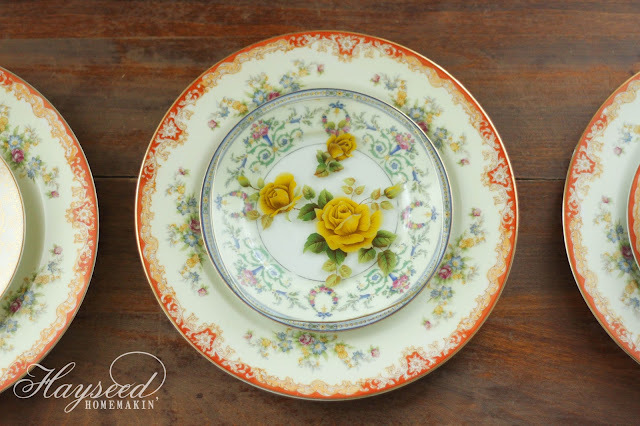 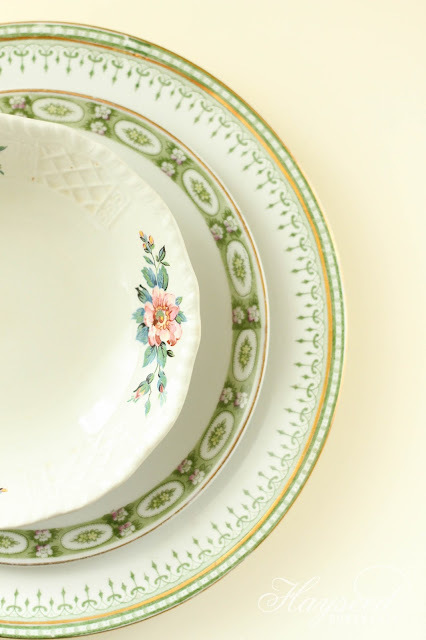 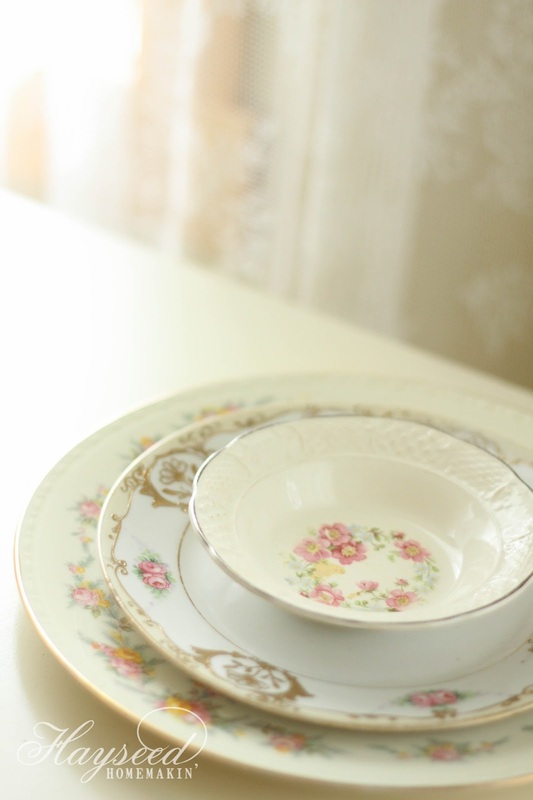 Vintage china is easy to find, and depending on where you're looking, it can also be very inexpensive. I find all of mine at local thrift stores. 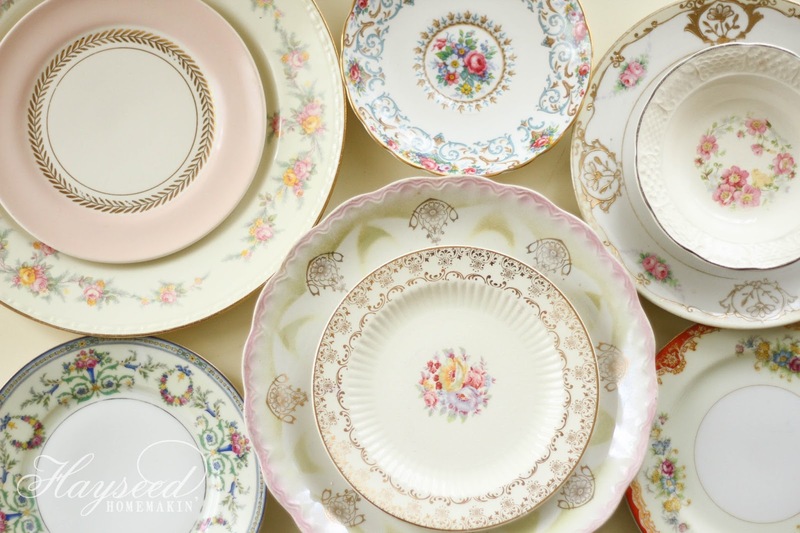 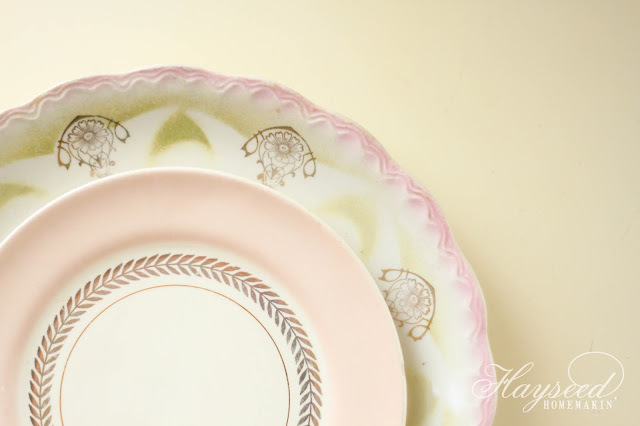 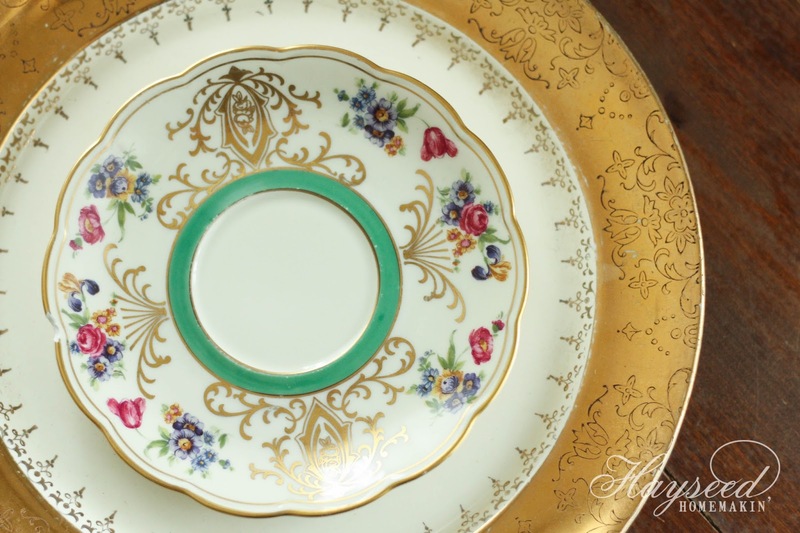 As I collect plates & teacups, I don't think about coordinating patterns & colors. I simply buy the individual pieces I love and pair them together later. 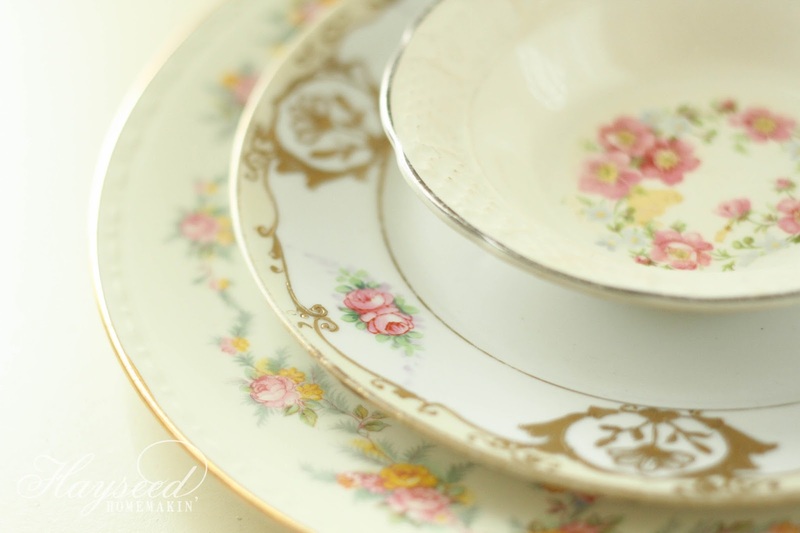 Depending on the size of your collection, the layering options can be endless & changed to suit a wide range of occasions.